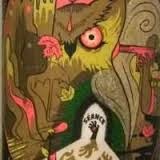 It's pretty staggering how many breweries have jumped on the paranormal hayride in the past few years. If you head into your supermarket or beer distributor to purchase your favorite brew this fall, you'll be overwhelmed with the hauntingly cool names and labels featured. That's all well and good, and we're all for cool artwork, but are these concoctions any good for drinking? We've assembled 13 paranormally-themed brews that range from IPA to pumpkin stout and everything in between. 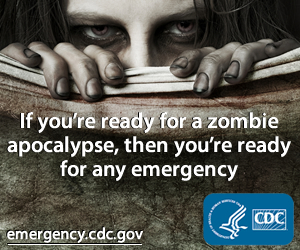 Give them a try and let us know if they were hauntingly delicious or should be buried in the ground. And if you've suggestions on some we've missed, let us know! Every brewery seems to have a pumpkin ale but we’re definitely loving the name of this one. It even deems it to be “Suitable for Zombies.” Available August-October, real pumpkin is mixed into the mash with the addition of traditional autumn spices. The orange amber color and “bold malt center and a crisp finish” is sure to quench even the hungriest zombie’s thirst this season. The bottle promises, “A liquid dance through life’s trance.” This Saison’s description is fitting for its mysterious name and amazing bottle art. Treat yourself to this complex dark and fruity concoction and you may just peer into a world beyond the veil. Introduced in 2009, this unfiltered wheat beer is described as “light, crisp and refreshing” and is brewed with orange peel and spicy coriander. It’s promoted as a sweeter summer beer, but gazing up at the stars and looking for unidentified flying objects while enjoying one of these tasty brews, is recommended all year long. 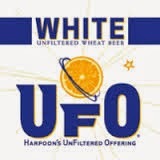 There is also a UFO Pumpkin brew that's described as a "unfiltered spiced fall treat." We’re not promising a visit from Pinhead, but this year round medium-bodied IPA does promise a “crisp, dry finish with exotic tropical fruit flavors.” With an alcohol content of 7.5%, you may end up “razing” a little hell! The menacing label that’s dripping with blood shouldn’t scare you away from letting this lager past your lips. 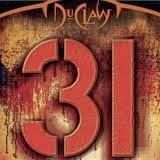 Described as “...crisp, medium bodied” and having a malty taste with a spicy finish thanks to cinnamon and nutmeg, “31” will make your Halloween extra delicious. Released in August, this seasonal ale is apparently brewed with the harnessed and potent magic that’s released during the Halloween season. With this magic and an ABV of 8.6%, a Happy Halloween is on tap. Great paired with desserts or your Thanksgiving dinner, Pumking has a “malty sweetness” with hints of vanilla, clove, allspice, cinnamon, and nutmeg. 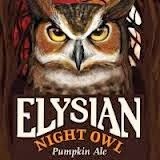 The owl on the label looks pretty mean and spooky but this pumpkin ale that’s brewed with “seven and a half pound of pumpkin per barrel” offers a light to medium body that will leave fans of this seasonal product, grinning. Spiced during conditioning with ginger, cinnamon, nutmeg, cloves, and allspice, it got decent reviews over at Beer Advocate and despite all the spices, it was described by reviewers as “mild” and “not overly sweet." Available in the Fall, this medium to full-bodied stout is as dark as it's name. The brewery's site describes it as having, "A little smokiness on the nose with malty bittersweet chocolate and a little coffee with subtle earthy pumpkin and spices for an overall nice and creamy mouth. 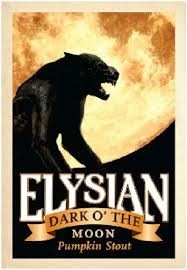 "With an ABV of 6.5%, this thick, delicious brew will have you howling at the full moon! With its rich, malty flavor and notes of toffee and caramel, this dark stout will make you want to search for more. Even though it's available year-round, this Yeti is perfect for those cold nights you've trekked though the snow on an adventure or when you just want a hoppy beverage that packs a punch with an ABV of 9.5%. 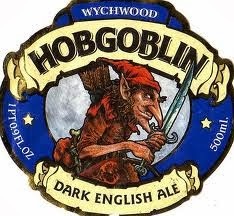 Hobgoblins are troublesome faerie folk who are notorious for causing mischief. 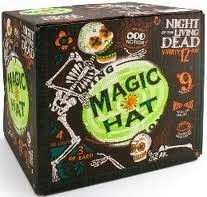 This playful ale from the UK is available year-round but it's a perfect accompaniment to your Halloween party. It also pairs well with meat stews, burger, or roasts. Described as being “Traditionally craft brewed with Chocolate and Crystal malts and a blend of Styrian, Goldings, and Fuggles hops to produce a full-bodied, Ruby beer...” Hobgoblin sounds like a delicious concoction dreamed up around a cauldron. 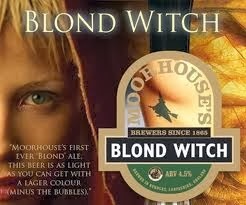 Part of five spell-binding permanent brews, including "Black Cat," "Premier Bitter," "Pride of Pendle," and "Pendle Witches Brew," Blond Witch golden ale's subtlety will trick you into wanting more. Its smooth and fruity taste and straw-like color is described by critics as being "very drinkable" and having "pleasant and delicate flavors." Maybe blonds really do have more fun?